"Layer this. Layer that. 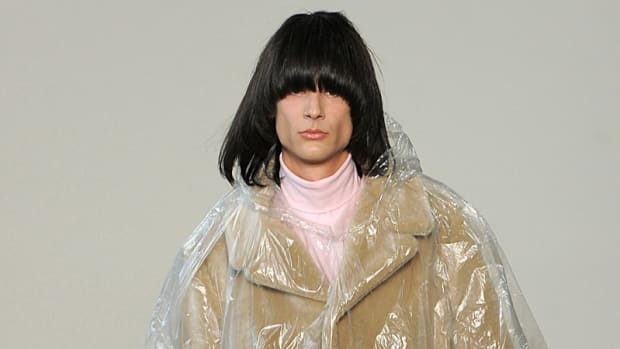 Men's fashion week is pretty whack." Don't fret about falling behind on your fashion week knowledge so close to the end, because we've still got reviews coming for you. 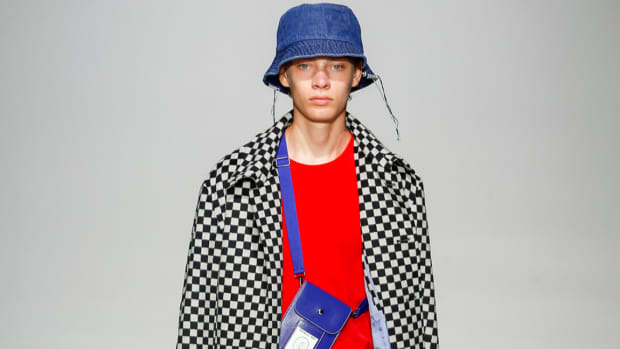 Catch up on Tory Burch's Americana prep remix, Ann Yee's Northwestern-inspired collection, and Patrick Ervell's boyish silhouettes. When downtown mainstay and minimalist du jour Patrik Ervell conceptualized his Fall 2012 men's and women's collection, he turned to a dark, aggressive –and depending on which political circle you swing in, somewhat controversial – reference. “I was thinking, ‘What does authority look like to people today? '” the young Scandinavian-born sportswear designer explained to us backstage. The answer was, “Navy, nylon and uniforms—the police aesthetic,” which he presented in lean and militaristic form.